Product #3123 | SKU GOT-LC-CH | 0.0 (no ratings yet) Thanks for your rating! Soft, supple and super clean. 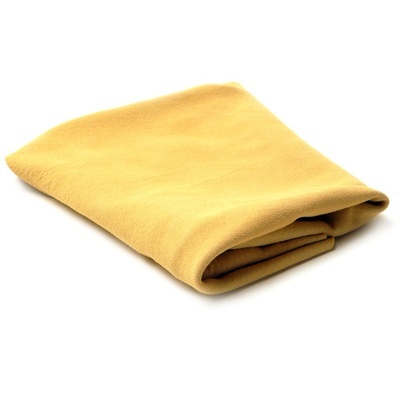 Our Chamois Lens Cloth is made from Genuine Oil Tanned English Chamois, the finest and purest in the world. Each Lens Cloth comes in a size of approximately one square foot and is packed is a sanitary zip lock bag. Wipes lenses clear and clean.